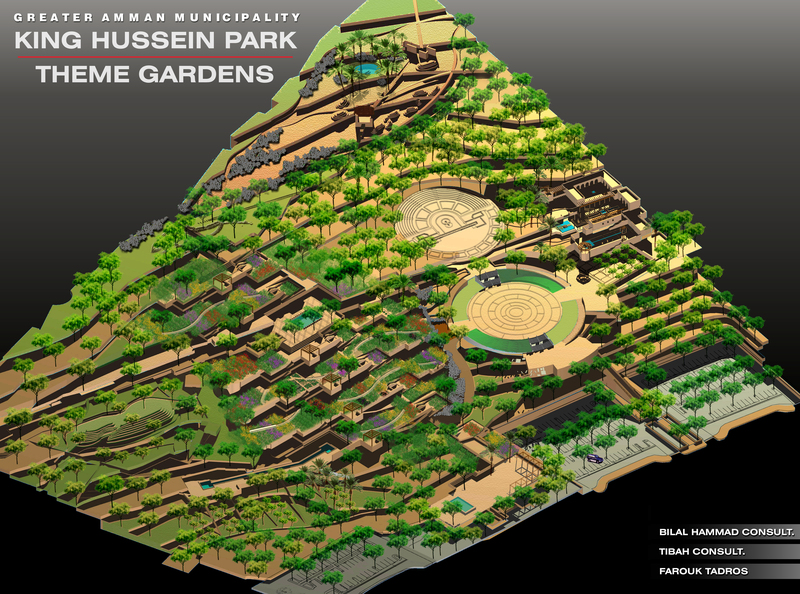 Following the slope of the site, this design is divides this project into four diversified terraced gardens representing some of the main features of traditional landscape in Islam. 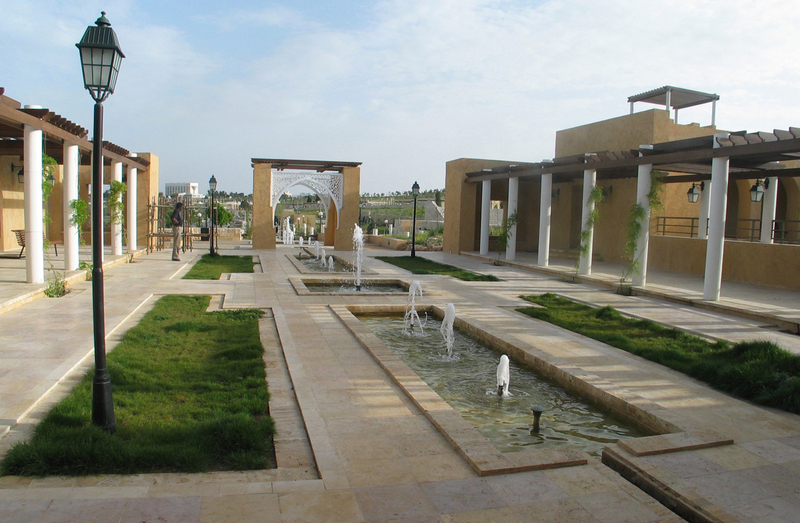 The four gardens start with an introverted courtyard and gradually step down with the slope of the site. The gardens gradually open up reaching into a citrus orchard featured with a grid of water channels inspired from the mosque of Cordoba. 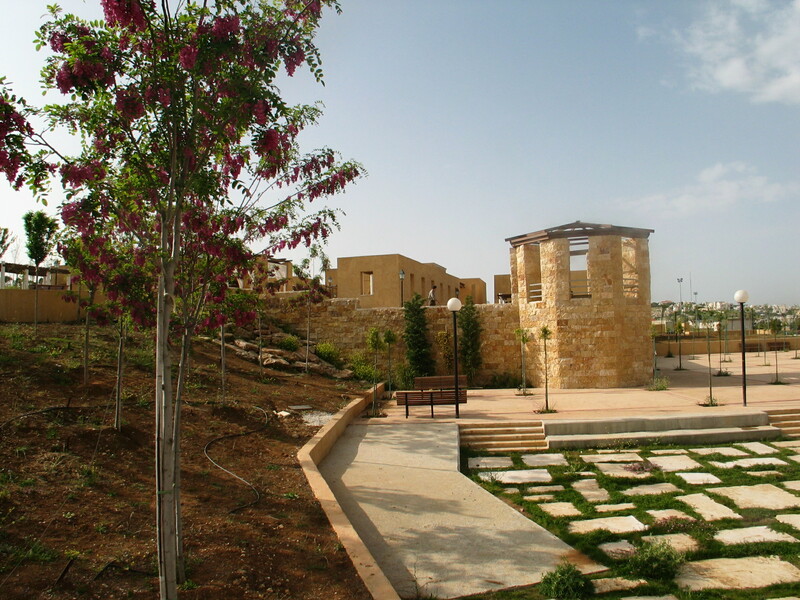 These Gardens could be reached directly from the Hussein Park of which they are part of. The project is hidden by blank boundary wall from an adjacent street. Here the project can be reached by a gate that takes the visitor through an indirect entry passage. This broken entry, a transitional space, allows the visitor to detach from the outside world and prepares him to discover the hidden gardens behind the walls.